The perfect little gift wrapped tissue. This bronze edition comes with bronze rhinestones and a matching satin bow, or gold colored organza bow. I highly recommend you have a tissue handy when gifting one of my memorial photo charms. To prevent the hunt for tissue before it begins, I put together a lovely tissue you can give with your gift. No more digging around in a purse or using a napkin. 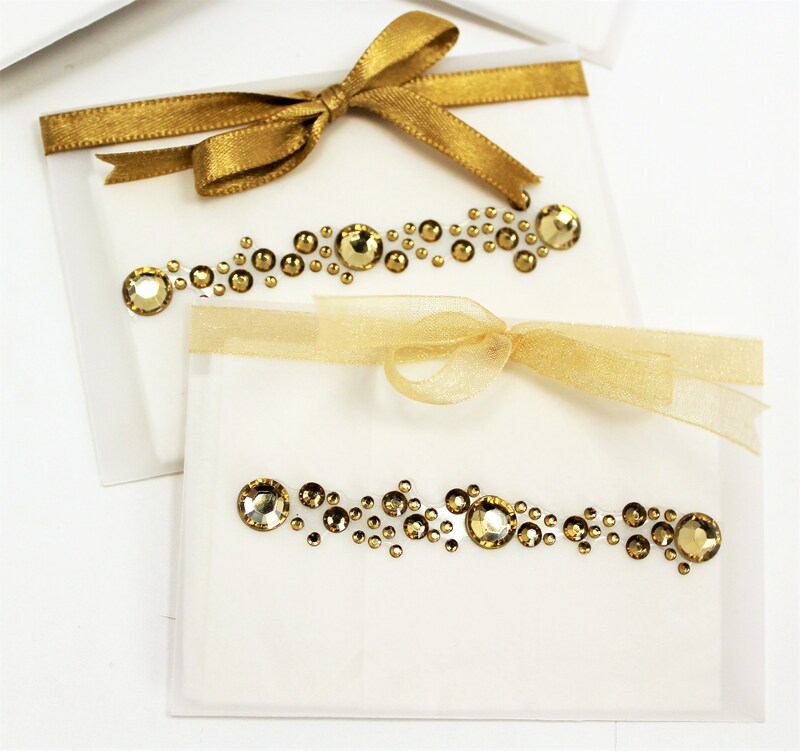 These decorative tissues come with a beautiful rhinestone embellishment. The message reads, "Because sometimes memories sneak out of your eyes and roll down your cheeks". The vellum envelope measures slightly larger than 2.5" X 3", and each envelope holds a single tissue. 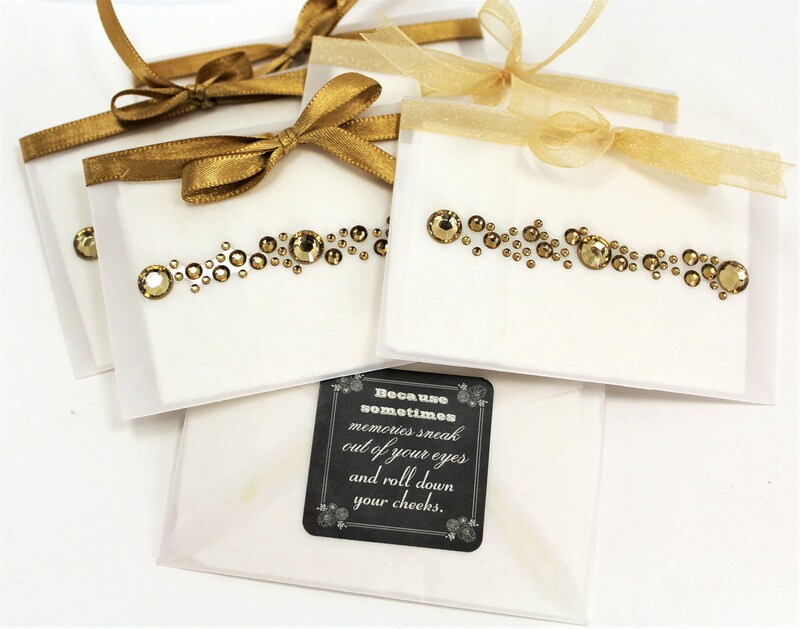 A beautiful accessory for a wedding, celebration of life, or a funeral.